Did I Achieve my 2017 Writing Goals? It's time to say goodbye to the old writing year and hello to a new one. Last week I took a detailed look at my writing year which you can read here but, today, it's time to turn my sights to the specific writing goals I set in 2017. In January, best writing chum, Tracy Fells, and I met up in our favourite tea shop for teacakes and target setting. You can read the full post here. Well, before I wrote this post, I looked back at my roundup of 2016 and saw that I'd hoped 2016 would be 'the year of the novel'. It wasn't to be and neither has it this year but I've made some big steps towards my goal. Also, my short story sales have moved closer to 300 mark, so overall I'm pretty pleased. Let's look at whether I achieved my specific targets though. 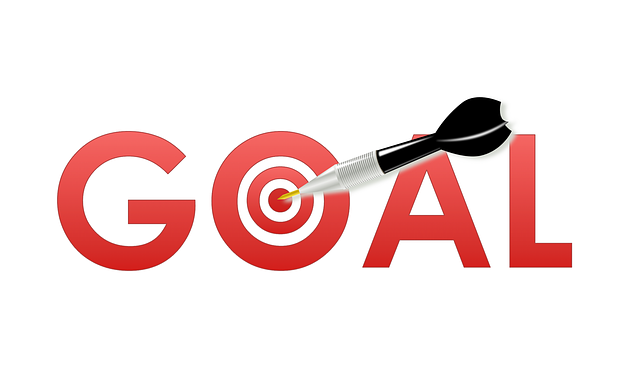 Goal: Complete at least 50,000 words of my new novel by the end of August, for critique by the RNA New Writers' Scheme reader. Achieved? Yes! I actually finished the 87,000 word novel and, much to my delight, had an excellent critique from the RNA. It also won the Flash500 Novel Opening and Synopsis Competition just before Christmas. It was chosen out of hundreds of novels and this is what the judge, Steph Patterson (senior editor at Crooked Cat books) had to say about it. Congratulations also to writing chum, Tracy, whose two novels both did very well in the same competition.. I am now in the process of submitting my novel to agents and have been approached by the commissioning editors of two major publishers who want to read it. Goal: Write the outline and first chapters to send to my agent before the end of February. Achieved: Yes... but, sadly (and through no fault of my own) I lost my agent in the summer so it was back to square one. Goal: Write and submit at least two short stories every month. Achieved? Yes. I've managed to carry on writing the magazine stories alongside the novel although my output has been less. There have been changes in the magazine world, with both Take a Break Fiction Feast and Woman's Weekly changing their fiction staff and only allowing submissions from a list of selected writers. I am grateful to be one of them. Goal: Attend the RNA conference in July. Achieved? Yes... and you can read about it here. ... and that's it for another year. I'll be back next week after Tracy and I have had our goal setting teacake session. All that's left is for me to wish you all a very Happy New Year! Today, as tradition requires, I shall be looking back at all the lovely things (writing and otherwise) that I've done during 2017. Many thanks to those of you who made the journey with me. January - I started the year with the usual teacakes and goal setting with writing chum, Tracy Fells, and I shall be posting how I got on with them after Christmas. I re-joined the RNA New Writers' Scheme. The People's Friend made a new audio of one of my stories, 'Out of the Dark' which you can read here . Merryn Allingham was guest on my blog talking about her inspiration for The Buttonmaker's Daughter. Vivien Hampshire wrote a guest post for me on how to say thank you. February - The sixth anniversary of the day I started writing. Louise Jensen was my guest, talking about psychological thrillers. Simon Whaley was guest on my blog, talking about the business of writing. March - We had a lovely weekend away in the grounds of a medieval abbey in Dorset and Alex Gazzola wrote a guest post on the mistakes writers make. I went on a ballroom weekend in Bournemouth and started writing my second novel. April - I wrote an article for The People's Friend about a bread making course I'd been on and wrote a blog post on how to make your hobbies work for you. Margaret Mounsden wrote a post for me on writing pocket novels. Deirdre Palmer was my guest talking about writing a sequel. Went on a jive weekend to Hayling Island. May - I interviewed Lynda Stacey. Had a wonderful holiday in Cadgwith Cove, Cornwall. June - Liz Eeles was guest on my blog. I interviewed commonwealth regional prizewinner, Tracy Fells. Went on a weekend to Bath with my daughter to find Mr Darcy. Went to the RNA Summer Party. July - Took an afternoon tea bus tour of London with my daughter. Went to the RNA Conference and interviewed Susan Griffin about what it was like to be an RNA Conference newbie. August - Wendy's Writing Now had its sixth birthday. Alison Maynard wrote a blog post on her five tips for editing a novel. Sonja Price wrote a post for me on writing a novel set in unfamiliar territory. Finished writing my second novel and it received a glowing critique from my RNA New Writing Scheme reader. I sadly parted company with my agent. My article on the ballroom weekend in Bournemouth was published in The People's Friend. September - Debbie Howells wrote a post about her latest psychological thriller. We had our annual holiday to Greece - this time to beautiful Paxos. My novel pitch in the #TellAMH twitter event was a winner. October - Alison Morton wrote a blog post on what not to do when self-publishing. Vivien Hampshire wrote a post on an insider's guide to a blog tour. 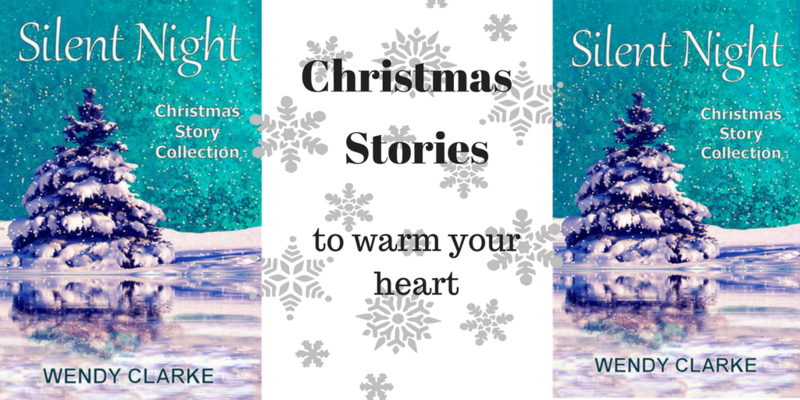 It was publication day for my third story collection, Silent Night. I wrote a post on book marketing for dummies. 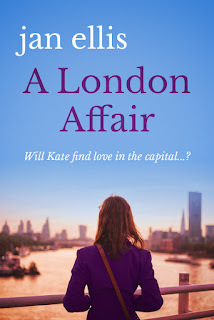 I was a guest on Clare Flynn's blog. The commissioning editor of a major publishing house requested to read manuscripts of both novels. I was on Lynda Stacey's blog, talking about seeing Christmas through other people's eyes. Angela Petch interviewed me on her blog. I was guest on Anne Hamilton's blog. I was interviewed by Debbie at Brook Cottage Books, Emma at Books and Winegums and Rosie Hendry. 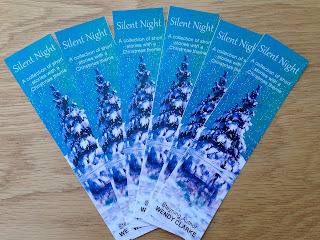 I was invited to put an extract from Silent Night on Books in the My Handbag blog. November - I wrote a post on editing out banned words. I went to the RNA Winter Party. I wrote a post on making Twitter Banners and adverts. I was guest on Karen Aldous' blog talking about the five things not to do at Christmas, the RNA blog where I discussed moving from short story to novel and Katrina Marie's blog talking about weaving Christmas memories into my story collection. Had a week on La Gomera. December - I was interviewed by Morton Gray and Anne at Books and Authors. Full manuscript for first novel was requested by an agent. Second novel was shortlisted in Flash500 novel opening and synopsis competition. 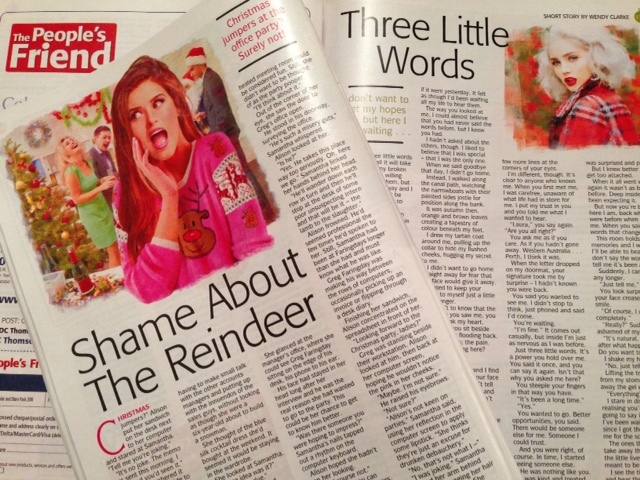 I haven't mentioned my story publications in this post as it would have taken too long to find them but I do have two in the Christmas special edition of The People's Friend which is out this week. I'm feeling rather exhausted now! And that's it folks. Apart from letting you know that as a special Christmas present (and a reward for wading through this post) I have reduced the price of the ebook version of all my short story collections to 99p for the Christmas week. Yes... all three of them! 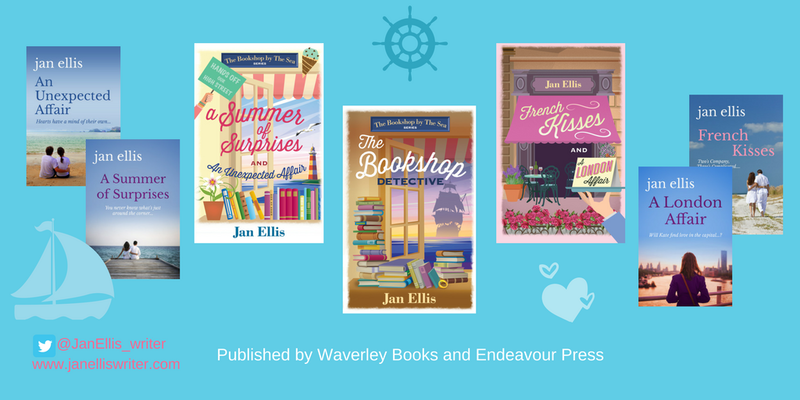 I'm delighted to welcome another guest onto my blog today... the lovely Jan Ellis. Jan is a fellow member of the RNA and is a writer of romcom and contemporary fiction. Without more ado, I'll hand you over to her. 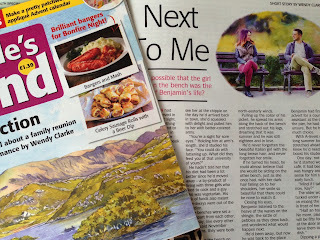 When Wendy kindly invited me to write a post for her blog, I wondered what to write about. Should I tell you about my journey from publisher to published writer? 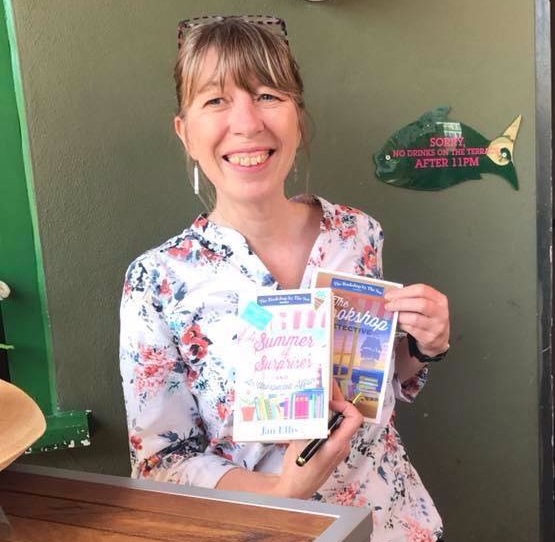 Should I tell you about working in the book trade, an experience that makes me passionate about bookshops and one that comes in handy when writing about my fictitious Devon shop in ‘The Bookshop by the Sea’ stories? No, I shan’t tell you about either of those things. Instead, I’m ready to share with you – dear friends – a deep, dark secret that sets me apart from 99 per cent of people on social media. It is the last taboo; a peculiarity often met with incredulity and shock. Whisper it: I hate Christmas. There, I’ve said it and I can feel the sharp intake of breath across the country as gentle, Santa-loving folk read this. What’s not to like about over-cooked sprouts and the annual family row, I hear you ask? Here’s a handy list. If I was an estate agent or a deep-sea diver, my aversion to Yuletide would not be a problem. However, here in romcom land I feel like the black sheep, the over-looked chipolata at the bottom of the oven, the jar of stinky bath salts. 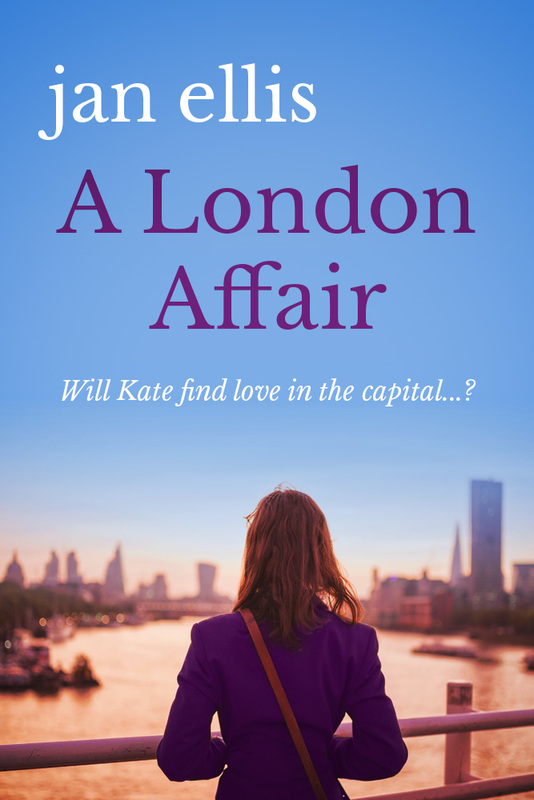 Despite my embarrassing affliction, I have somehow managed to introduce Christmas scenes into two of my novellas: French Kisses and A London Affair. In the latter, my young heroine Kate heads off to Suffolk with friends to celebrate Christmas Eve on the beach. When they reached their Christmas star, Ned stopped and threw out his arms towards the sea. “Enjoy that fragrance, people. There’s nothing like it.” He breathed in deeply, then waved vigorously with both hands. Kate and Freddy tried not to laugh at their eccentric companion. 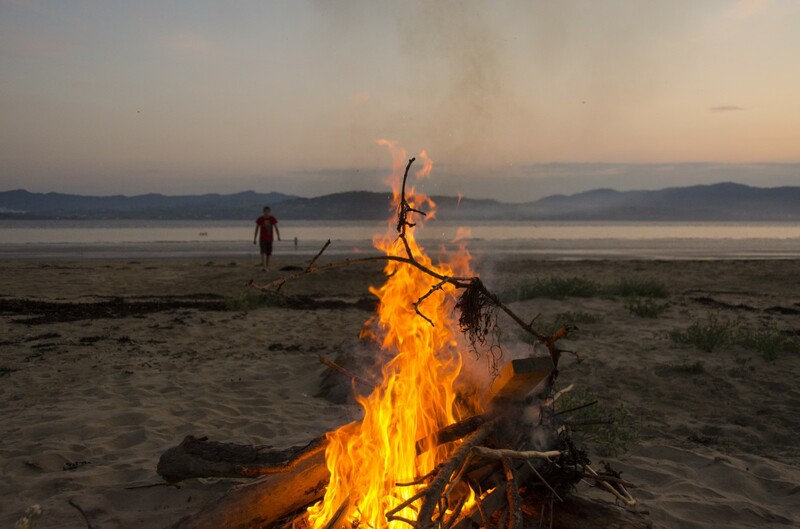 fire.” Ned knelt on the ground and lit the bonfire, which soon sprang into life. The others arranged themselves on the rugs and gazed into the flames. After a while, Valentina unpacked the champagne and glasses. Freddy and Kate stepped gingerly across the sand, then the four of them walked hand in hand into the inky sea, squealing as icy water lapped over their ankles. Behind them the fire crackled, throwing a flickering red light over Kate’s star, which stood like a beacon on the beach. They dashed back and forth into the water shrieking and jumping over the waves, then separated so each of them could walk alone in silence. It was a spontaneous moment of contemplation under the moonlight: magical, as Ned had promised. Afterwards they dried their feet, put on their boots and lay on the rugs watching the stars and listening to the rhythmic whooshing of the waves. At midnight, they drank a toast to good times and wished each other happy Christmas. On balance, I guess Christmas is okay – so long as it only happens once a year and starts and ends in December. Now, if you’ll excuse me, I’m off to open the sherry and put the spouts on. Yo, ho, ho! French Kisses and A London Affair and An Unexpected Affair and A Summer of Surprises are published in two paperback volumes by Waverley Books. The ebooks (Endeavour Press) are available on Amazon. 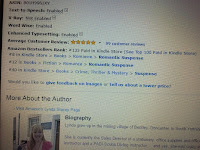 The Bookshop Detective is a paperback original. One thing I love about hosting guests on my blog is when they ask to come back for another visit. It means I must be doing something right as a blog host! 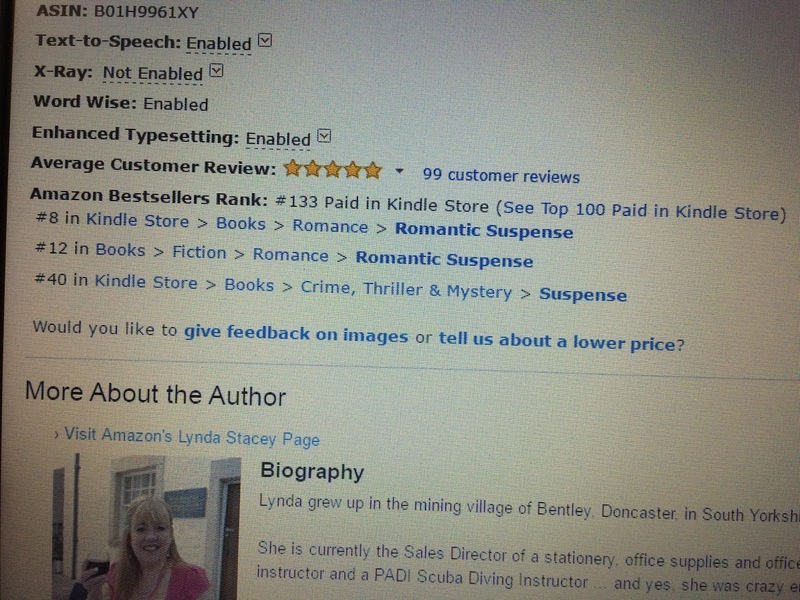 Today, I welcome back, author Lynda Stacey. It's her third visit to Wendy's Writing Now and it's great to have her back. 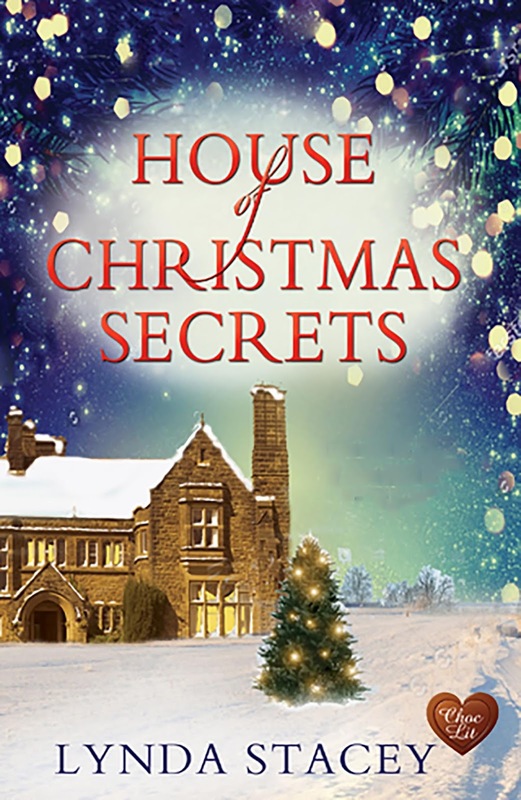 Lynda first visited in 2016 when she'd just published her debut novel, House of Secrets. Today, she's back to talk about its sequel, House of Christmas Secrets... the good, the bad and the ugly! When my debut novel House of Secrets was first published I literally bounced around the house for days while watching in amazement as it began to sell. The first days were very surreal, I still found it very hard to believe that firstly I’d fulfilled my dream and I’d written a whole book, and secondly that people were actually buying it. get any better, the readers began leaving reviews. I was totally blown away. I lost count of the actual readers who not only loved it, but also spoke of my characters as real people. They wanted to know what they were doing now and how their lives had turned out. Which got me thinking.... could I do it, could I write a sequel, could I bring all of those characters back to life and if I could, what adventure could I take them on this time? 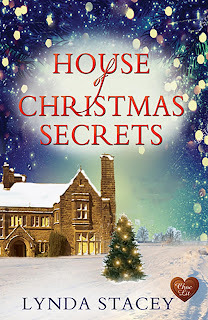 So, House of Christmas Secrets began. I began the story one year on from where House of Secrets ended. I felt that the characters would have had time to have moved forward with their lives but I didn’t want the story to start so far ahead that things would have changed dramatically. I loved re-creating the characters. Getting to meet Jess again, along with Jack, Emily and of course Maddie, Bandit, little Poppy and, last but not least, our lovely Nomsa who was still baking, looking after everyone and, at times of both happiness and sadness, always put the kettle on. I felt that all of these people needed to be there for the continuity so that the reader felt comfortable picking the story up again. I really struggled with the storyline. I really didn’t want to throw anything more at Madeleine, I felt as though she’d had so much trouble already with all that had happened in House of Secrets that I couldn’t possibly send anything else in her direction. Also, because I hadn’t planned on a sequel, I hadn’t really left any loose ends that I could pick up and run with, which meant I had to dig deep. There was only one tiny thread that I could pick up, so our story begins with Jess wishing for a nice, normal and quiet Christmas. However, when two unexpected visitors arrive at the hall, her Christmas turns into everything other than nice and normal. 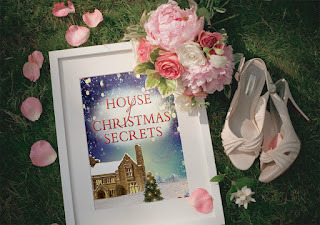 House of Christmas Secrets began life as a novella, which was 50,000 words. I was happy with the result, I felt that it offered House of Secrets a great sequel. As you can imagine, I read the email at least twice, gasped, stamped around the room and then I poured the wine, knowing that to add 35k meant that I needed to add a whole extra storyline...! Saying that, I love it. And as always, my editor was absolutely right. The story is now better, it has more depth and the extra storyline does add moments of laughter and also of tears. Above all else, like always with my novels, I feel that the reader will now go through every single emotion whilst reading. I must admit that there is one chapter that I tend to blubber at every time I go through it. Making Twitter Banners and Adverts plus a Bargain! 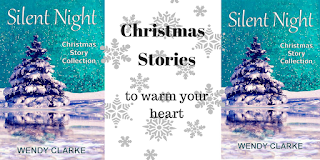 I've just come back from a gorgeous holiday in La Gomera and it's time to turn my attention once more to writing and also to marketing my Christmas collection, Silent Night. This is especially important as, for one week only, it's on Kindle Countdown at just 99p and if I don't tell people, no one will know about it. So here I am telling you - you can buy it here! Since publication day in October, and without the marketing department of a publishing house to do it for me, I've had to think up new and creative ways of showing off my book. There are many tools on the internet to help you and, as I've had a few people ask me recently how I went about making my adverts - especially my Twitter banners - I thought I'd devote this post to explaining what I did. First of all I needed a picture of my book cover but I also wanted some other pictures to use as backgrounds. I used Pixabay for this as it has a wide range of free to use illustrations and photographs - just right for what I wanted. For example, the background of snowflakes in this Twitter banner was from the site. But I also wanted to use my book cover in a different way. For this I used the free on-line photo editor LunaPic. I made the book cover graphics below using it. I also used LunaPic to add the frosted edge to the title picture and to add the snow effect in my Twitter banner below (you'll find it in 'animations'). I used a different program to add a filter to my pictures to give a different effect. For this I use the photo-editor App PS Express on my ipad. I love the way it changed the tone of my advert below from warm to cool. While I was searching around for new things to use, I came across another fun site called Lumyer. Again I used it as an App on my ipad to create the heart effect on the advert below. I used this one on my Facebook author page. If you want to remove the watermark, you have to pay, otherwise it's free to use. Not content with animations and gifs, I decided to try using a little fun App called Boomerang. It does what it says on the tin and makes a few second 'boomerang' movie of whatever you photograph. Clever eh? This is the one I made for my Facebook page and also for Instagram. And there you have it. Lots of ways to advertise your novel without getting boring. I'm sure there are lots of other interesting Apps and websites out there that can brighten up your marketing. If you know of any, please let me know in the comments. Which leaves me only to remind you that Silent Night is on sale for just 99p all this week. 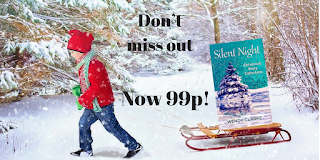 It's had some fabulous reviews which you can check out on Amazon and, if you're feeling festive and would like to take advantage of this offer, you can buy it here. I went to the library yesterday. Not to borrow some books but to attend the RNA Winter Party and industry awards in London. This delightful venue was in Birdcage Walk and inspirational - being surrounded by books was certainly a fitting way to pass a few hours in the company of other authors. I went to the party with my good writing friends, Liz Smith (who writes under the name of Liz Eeles) and Susan Griffin - my partners in crime at this year's conference. To say the evening started eventfully would be an understatement. First, my train ticket wouldn't open the barrier. Luckily, there was a man in a little box (well he wasn't really in the box but that's just the way my brain works) who told me to show my him my ticket. I waved my ticket in front of his face on the screen only for him to say, when he guessed what I was doing, "No, show it to the camera, not my face." It transpired that the barrier hadn't opened was because I'd used my return ticket by mistake. At last was got on the train - only Liz and I had been talking so much, it was the wrong one! A change of trains later and we were on track again (excuse the pun) and joined up with Susan for the last leg of our journey... only we weren't out of the woods yet. Our taxi route from Victoria (remember I don't do tubes) came to a halt when we found the roads around St James' park barricaded off. We had to ditch the cab and walk so it was a good job I wasn't wearing my high shoes. Eventually we arrived. The place was packed, the noise level was high and I stood there feeling, as I always do, slightly overwhelmed. I needn't have worried though as very soon, I spotted someone I knew and from then on the evening went in a whirl. But it wasn't all socialising. An important part of the evening is the industry award ceremony. Congratulations to all the winners! I was particularly thrilled to learn that the publisher I write for, D C Thomson, was runner up in the category Publisher of the Year. You can find all the winners here. I'd like to tell you that I was brave enough to introduce myself to Agent of the Year winner Broo Doherty, who has the first three chapters of novel two, and runner up Rebecca Richie who favourited my twitter pitch for novel one in the recent #TellAMH twitter pitch contest and has the first three chapters.... but it didn't happen! One day I'll stop worrying about what people think of me and just do it. As always, I only managed to speak to half the people I would have liked - but never mind, there's always next time. In other news, I am delighted to have recently had two sales to The People's Friend and today I found out that novel two has been long-listed in the Flash 500 novel opening and synopsis competition... keep your fingers crossed for me. Congratulations also to writing chum, Tracy Fells, who joins me on the list. Finally, I'll leave you with a picture of my story in the People's Friend Annual 2018 (which is out now) called Where the River Leads. 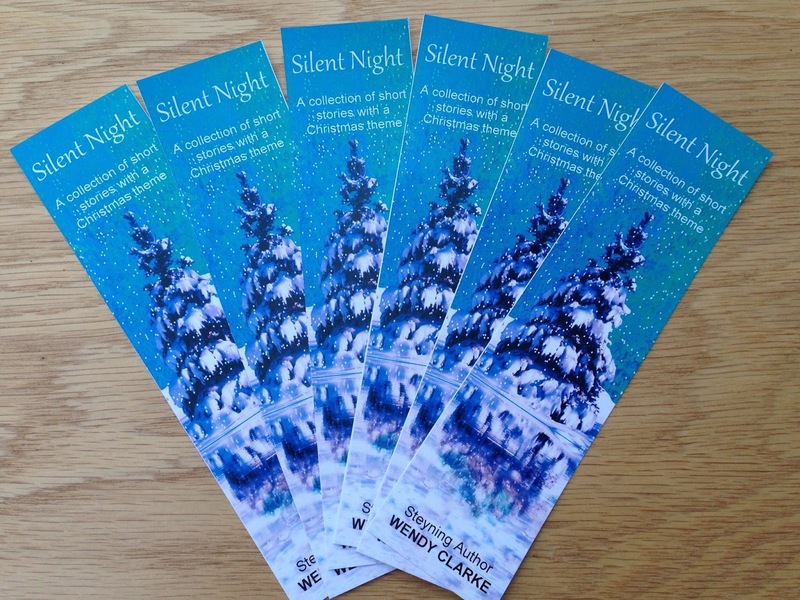 Having recently published Silent Night, my new collection of short stories (you can read my post here) and spent time coming up with ways to market it (Book Marketing for Dummies) I've embarked on a new project - or rather gone back to an old one. Anyone remember the romantic mystery novel I was working on a while ago that was set in Greece? This novel has been on a long and eventful journey with me (it even got me an agent for a while) and I now have two completely different versions of it - one in a single viewpoint and one with a dual narrative. For ages, I've been itching to go back to the original dual-narrative version and add in some of the better parts of the second version but, with the new novel I've been writing taking up most of my time, I've not been able to. Now that novel two has been submitted to agents, I've been able to go back to reworking my special first book and I'm pleased to say that it's almost finished. Version three is, in my opinion, the best yet and I'm super excited to soon have two novels to offer agents and publishers (or to publish myself, if I go down that route). It was only on reading through the manuscript again that I picked up on the fact that I'd used the phrase for a moment rather frequently (on checking, it was 28 times!) I could hardly believe it. With this in mind, I turned to Facebook to ask what words other authors knew they overused. I'm happy that people were not shy in coming forward with the words they knew were for the chop. This is the list I came up with using their answers (most common first). See how clever I was with the title of this post! That's quite a list and I'm going to be busy checking out all these sneaky little words that creep in when our backs are turned... I may be gone some time! Have you got any favourites you can add to the list? 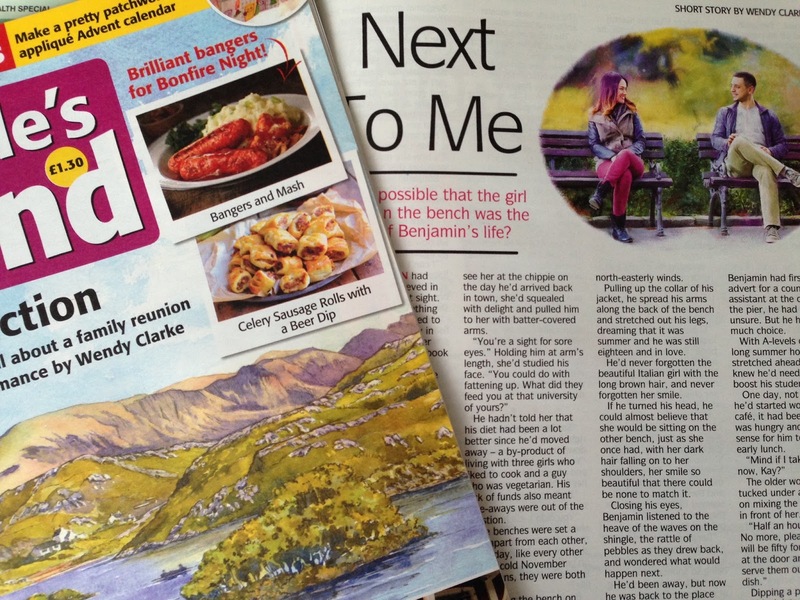 In the meantime, I'll leave you with a picture my latest story in The People's Friend called, Next to Me.